shipping services using ocean shipping containers to worldwide destinations. Each Connecticut move, local or long distance, is properly planned and designed to meet each customer’s commercial or residential moving and shipping needs. Our Connecticut moving and storage company’s representative will evaluate the moving & shipping cost based upon your own specific requirements. precautions to avoid any loss, tangible or intangible, and continue to be the Connecticut movers people think of first. All Around Moving Company will provide you with a pack and move estimate whether you are moving household items, furniture from a home or office, or fine art. The Connecticut piano movers we arrange are professional and skilled CT movers whom specialize in moving any delicate piano and are able and ready to accommodate any type of a move from or to Connecticut. When looking for skilled movers in Connecticut, don’t trust just any local moving company to move your important personal and/or business furniture and other household items. All Around Moving Company will provide the reliable and efficient service you require, whether moving standard furniture and household items, or specialty items that have a special intrinsic value. Make All Around Moving your first choice in Connecticut movers. Big or small, we do it all! 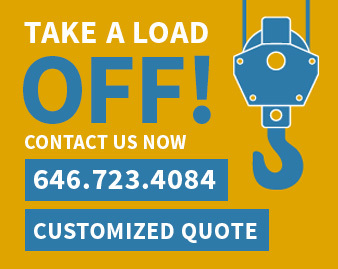 Call for customized price quote now. Berkshire, Bethel, Branchville, Bridgeport, Brookfield, Byram, Cos Cob, Cranbury, Danbury, Darien, Easton, Fairfield, Georgetown, Glenville, Greenfield Hill, Greenwich, Hawleyville, Huntington, Long Hill, Lyons Plain, Mill Plain, Monroe, New Canaan, New Fairfield, Newtown, Nichols Noroton, Noroton Heights, Norwalk, Redding, Redding Ridge, Ridgefield, Riverside, Round Hill, Sandy Hook, Saugatuck, Shelton, Sherman, Southport, Stafford, Stamford, Stepney, Stratford, Weston, Westport, Wilton, Winnipauk.